I love this eyeliner! It glides on smoothly and stays in place all day. The only down side is it has to be sharpened often but it is well worth it and lasts much longer than the twist up eyeliner. 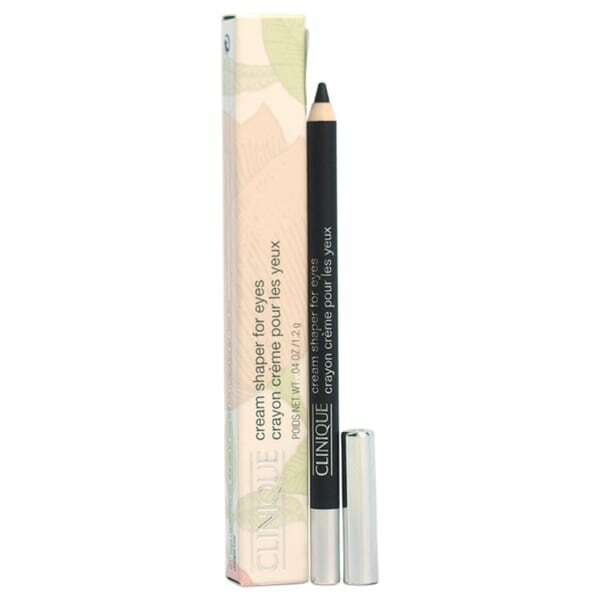 Creamy-smooth eyeliner pencil with a hint of shimmer. Shapes and defines with intense, stay-put color. Non-smudging, water and transfer resistant. Easy to sharpen, too. I chose this eyeliner because it brings out my eyes. I also Ike the way it goes on smoothly.